Don’t leave your garage door installation to just any company. You’ll want to find a business that has a longstanding reputation for providing excellent products and services. For homeowners in Greenville, South Carolina, that company is 31-W Insulation. We have been helping residents throughout the Southeast with garage door services and other home improvement projects since 1972, and we are proud to have an A+ rating with the Better Business Bureau. You can trust 31-W Insulation to take care of installing your new garage door with expert care and precision. Once you’ve selected the style and color that suits your preferences, you can further customize your door by selecting from various window panel designs and decorative hardware options. Then, our factory-trained technicians will take care of the entire garage door installation process. 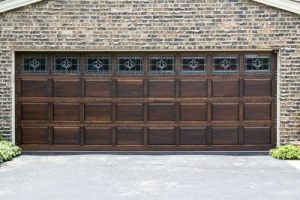 Our employees are highly experienced in installing garage doors and will take care of even the smallest detail to ensure your new door is installed properly and securely. Once we’re done, you’ll be able to enjoy a brand-new garage door that will enhance your home’s curb appeal and function flawlessly for years to come. If you’d like to learn more about our garage door installation services in Greenville, SC, contact 31-W Insulation today.